Meet Joe. No, he’s not an average Joe. He is THE Joe. If you didn’t know, the name Joe stems from an older Hebrew name which translates to “God Increases.” This makes sense when you begin to glimpse over the challenges that he has conquered. Unlike most Hollywood stories, Joe started at the warm and shiny top, and then worked his way down into the cold dark mud. His first career was as a suit and tie clad Wall Street man, but he soon found that the prison of indoor life wasn’t for him. In 2001 Joe walked to the edge of society, shook his fist and yelled, “I need a greater challenge.” Thus the Spartan Race uttered its first cry into the world, and Joe nourished this baby into the monster that it is now. If you’re unfamiliar with what the Spartan race is, I’ll fill you in real quick. Imagine you are swimming through thick mud as a swarm of people sprint after you. Each person emits a battle cry as they gain territory. Dozens of strands of barbed wire dangle above your head, forcing you to stay covered in filth. You dig in faster, but your pace is slowed by the dirt caked onto your body. Finally you’re able to pull yourself from the waste, only to find another obstacle blocking your path. You turn your head to see that the mob has almost caught up. You can feel your heart rate spike as the last of the air from your lungs escapes through your lips. An overwhelming sensation sweeps your body as the first person scampers to you place still wailing. “Here let me help you over the wall,” he yells as he stretches his hand forward. Then you remember. You ran into the mud on your own free will. You want to finish the race, just as bad as he wants you to. It’s the Spartan race, and the Spartan community. 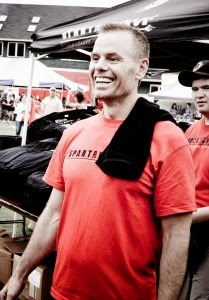 Joe De Sena founded the Spartan race, and he has put many years into building up a Spartan community. Thirteen years later Joe finally put pen to paper and illustrated a way to live out the Spartan creed. In his soon-to-be-released book “Spartan UP!”, Joe attacks a lot of philosophical struggles that people have, and he invites them to challenge themselves physically and mentally. Here at Endu, we agree with a lot of these challenges. I was blessed enough to have an opportunity to ask THE Joe a few questions about the Spartan Race and his philosophy surrounding his new book “Spartan UP!”. It’s amazing to say that our little blog was able to have a sit down with such a successful guy. 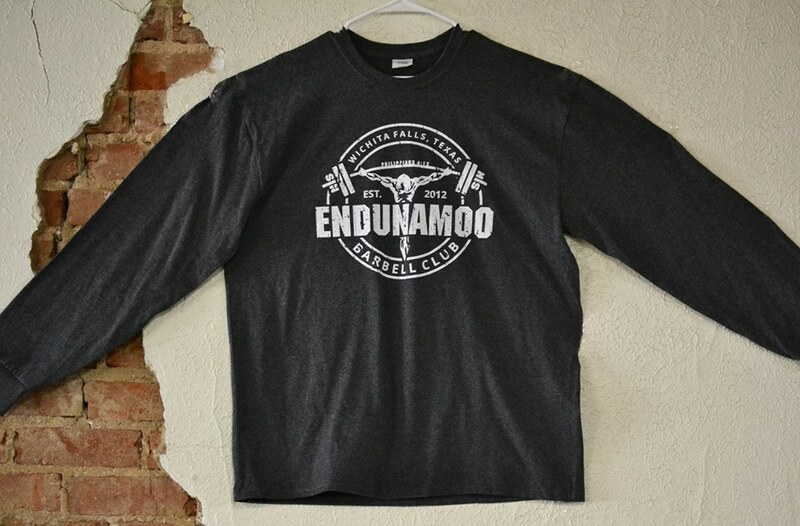 Endu: Why were you inspired to put pen to paper and detail your thoughts about the Spartan Race? Joe: I have been working on this book for 20 years. It was a life strategy concept I have always had and Spartan became a way to express this strategy/philosophy. Endu: Have you heard the claim that if you do something for someone else, rather than just yourself, you are more likely to accomplish that task? Would you say that you agree with this? Joe: I agree whole heartedly. In many races when I was dragging or someone is falling behind the best thing to do is put that person IN CHARGE of someone else and their whole attitude and energy changes. Shackleton knew this all too well. Endu: Socrates said that the “Spartans are the best educated in philosophy and speaking.” Would you say that it is of the utmost importance to not only train your body, but also your mind when getting ready for the race? Joe: We could not agree more. The brain sits inside of the body remember… if the body is healthy the brain is more likely to be healthy and thrive. 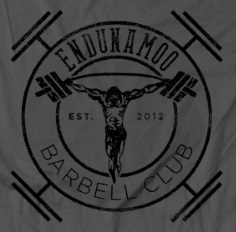 Endu: What obstacle in the Spartan Race has the most emotional/philosophical meaning to you? Joe: The barbed wire crawl… it is purposely designed to change your frame of reference. Endu: Could you explain your interpretation of the Spartan creeds of : question your assumption (gnothi sauton), less is more (meden agan), and discipline is everything? 1. I don’t believe that normal means anything? What is it? In other words just because everyone thinks something is normal or the right way to do something does not mean it is. Question everything… you may be pleasantly surprised at what you find. 2. Less is more… my mother used to throw away money… actually put money and material things in the garbage to teach my sister and I that we had to learn to be happy with the bare essentials… this is very important to understand if you want a truly fulfilling life. 3. Discipline is everything… without it you get off track.. your actions have to move toward your goals… this requires discipline… if you change the dial a few centimeters on the space shuttle you could end up on the wrong planet… Discipline keeps you on track. Endu: The Spartans had the philosophy of participation mystique (firsthand knowledge) which stated that you cannot truly understand something unless you participate in it. Would agree with this? Joe: I believe you have to test yourself to the limits to really understand yourself… if you are in business you to work the entire business to truly understand it and all its key elements and breaking points. You cannot sit above in an ivory tower and theorize about things… you need to immerse yourself to truly understand them.